What is friendship? In my opinion, nowdays, people tend to put friendship easily without digesting it deeply. Is friendship same as togetherness? Is friendship same as intensive chatting? 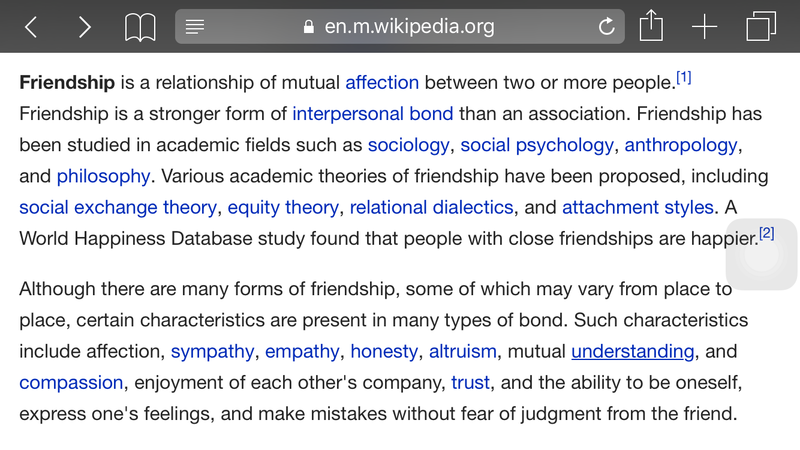 Those are 2 things that easily defined as friendship evidence. Yet, getting older where people tend to have their own life (especially families), businesses, pride or ego and ambitions. Expectations of relationship are risen from each of the members. Conflicts occur to test the bonding. In trust we lay our friendship. Trust that whenever we need each other, it will only be phone call distance. Trust that you will spend your time even though u r busy. Trust that without speaking, we know what we think of. No worries on what you will think of me or me think of you, just be ourselves and we complete each other. Admit our weakness and ask for frank inputs from our best friends. Ask for help and they will help us nevertheless. Then, the next question is what is a family? 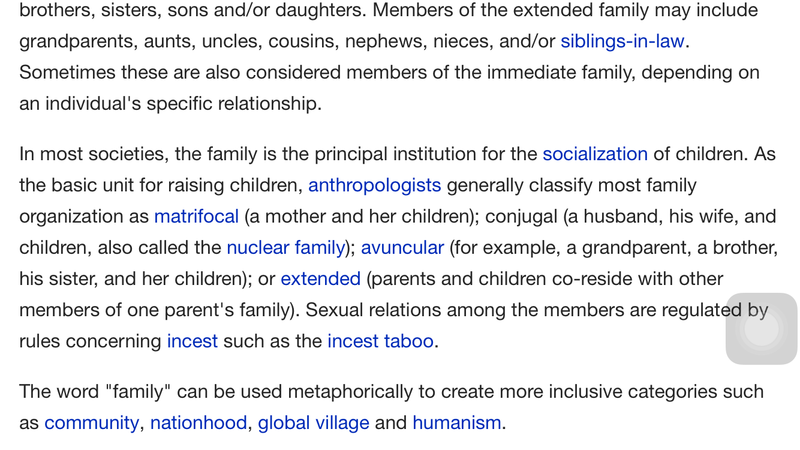 Based on Mr Wiki, family is a bunch of people that connected through blood relation. Could we say that family bonding might be thinner than friendship? We could not choose our family member, either they are funny, cruel, serious, etc. Meanwhile on friendship, we could be friend with certain people because we could accept and feel that they fit with us. In that case, i am very sure that friendship will have stronger bond compare to family. Yet, because we are aware that family bond could not be broken, we try our best to tolerate and support each other regardless the risk or payback. Till the end, I am confused, which bond that is stronger compare to each other.